I mentioned the special quilt exhibit, the "Tennessee River Project: a Collaborative," by members of the Chattanooga Modern Quilt Guild (CMQG) that will be on display at the Tennessee Aquarium during Chattanooga QuiltWeek in an earlier post. 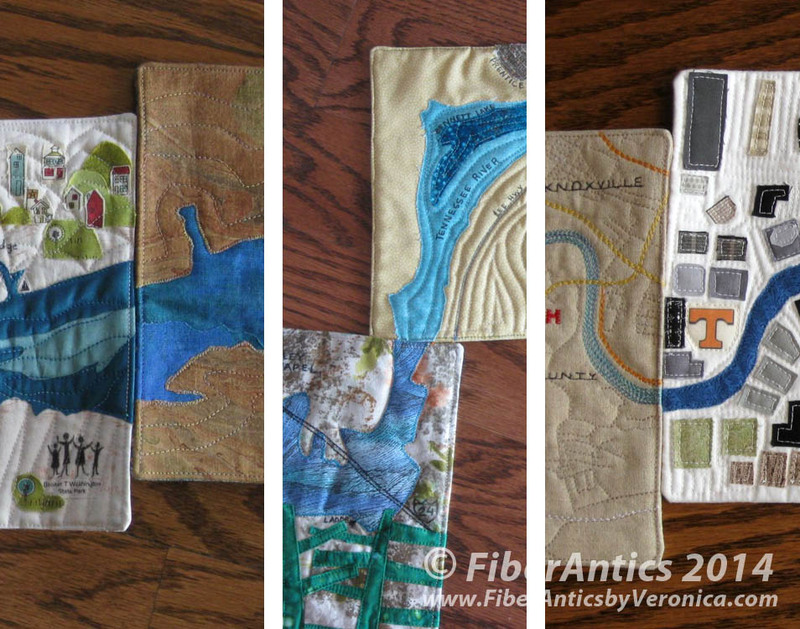 Thought you might like to see a few more peeks at some of the marvelous work of Chattanooga's quilters. 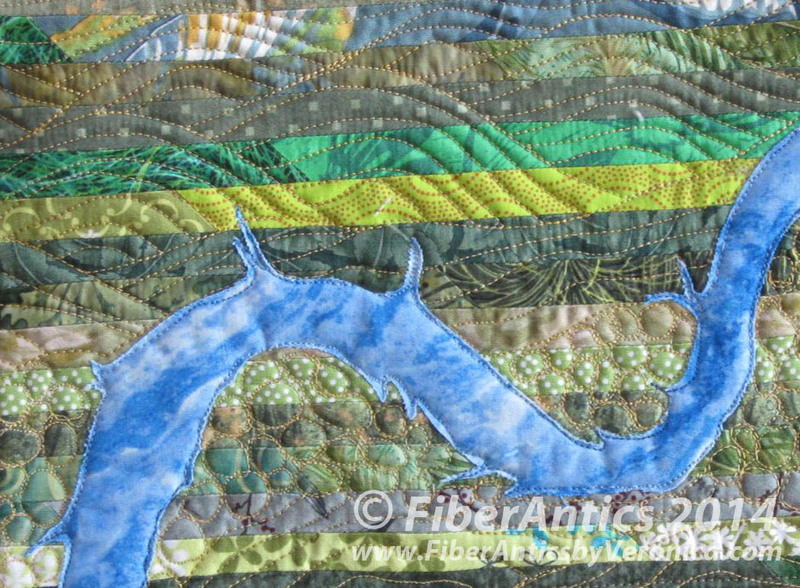 Detail: "Tennessee River Project: a Collaborative"
All of the quilted pieces are joined at points where the river flows from one map section into the next. 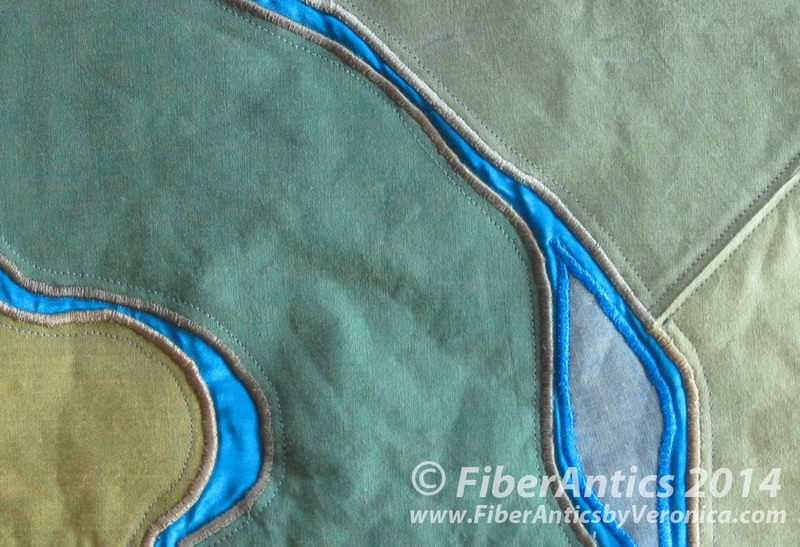 Detail of how the quilted sections meet. 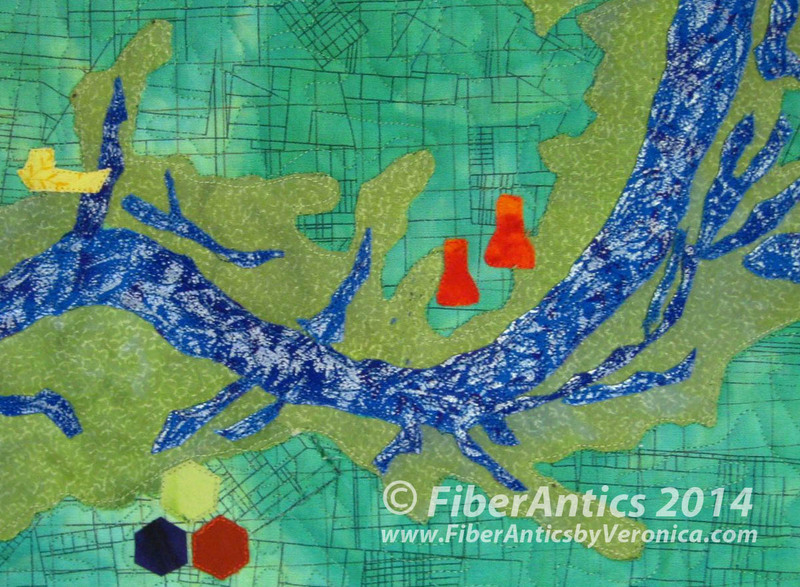 I hope you will visit this quit exhibit at the Tennessee Aquarium during AQS Chattanooga QuiltWeek, September 10-13, 2014, as well as others around town.